The SCM-0001-000 wireless GPRS Modem provides fast mobile communication access and offers the perfect solution in industrial data communication. Is is fitted with a SIM card drawer structure, and it may be connected with any standard RS-422 interface. 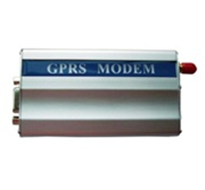 Data is transmitted at 3.5G, and the modem is fully compatible with GSM/GPRS/EDGE.